Howard Hathaway Aiken was born in Hoboken, New Jersey, on 8 March 1900, as the only child in the family of Daniel H. Aiken, from a wealthy and well-established Indiana family, and Margaret Emily Mierisch-Aiken, a child of German immigrants. When he was just entering his teens, he moved, with his parents and his maternal grandparents, to Indianapolis. Daniel Aiken was addicted to alcohol and, during fits of drunkenness, would physically abuse his wife. During one such episode, young Howard, already large and strong at the age of 12, grabbed a fireplace poker and drove his father out of the house. The family never saw Daniel Aiken again. Once the father had disappeared, the paternal relatives would have nothing more to do with young Howard or his mother and did not help them financially. Aiken was in the ninth grade when it became his responsibility to support his mother and grandmother. This meant that he would have to leave school and go to work. He got a job installing telephones (12 hour shifts) and began to take correspondence courses. One of his teachers however, having seen signs of Aiken's intellectual brilliance, especially in mathematics, went to see Mrs. Aiken to plead that her son return to school. Because of the family's pressing financial needs, Mrs. Aiken could not acquiesce. The teacher then found Aiken a night job (Howard was very found of this job, because he had to work only 8 hours every night!) as an electrician's helper for the Indianapolis Light and Heat Company, so he would be able to attend school during the day. Aiken completed his studies at the Arsenal Technical High School in Indianapolis in 1919. Then he was offered a job with the Madison Gas and Electric Company and decided to go to the University of Wisconsin. Aiken and his mother moved to Madison, where he enrolled in a program in electrical engineering at the university. In college, as in high school, Aiken won the respect of his teachers. To support his mother and himself, he worked on the night shift as a switchboard operator for the Madison Gas and Electric Company, while attending college during the day. In 1923 he was awarded a B.S. degree in electrical engineering. After his graduation from Wisconsin, Aiken was promoted to the position of chief engineer in the Madison Gas and Electric Company. In 1927 Aiken resigned this company to enter the Central Station Division of the Westinghouse Electrical and Manufacturing Company as a general engineer, engaged in application of the company's products to designing of electric generating stations. 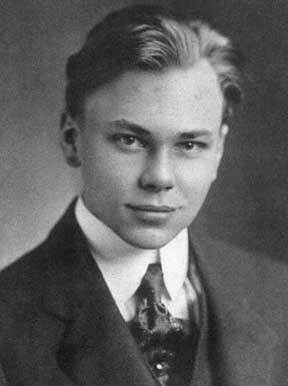 In 1931 he resigned from Westinghouse to become a district manager of the Line Material Company in Detroit, Michigan. Despite his success, he found the managerial side of engineering unsatisfying and decided to go back to school. In 1932 he went first to the University of Chicago, where he matriculated as a graduate student in physics in the autumn of 1932 and where he remained for only two quarters of the regular academic year, because he didn't like the Chicago program. In the autumn of 1933 he began his graduate studies at Harvard, where received his A.M. in physics in June 1937 and completed his thesis (Theory of Space Charge Conduction) in the autumn of 1938. He was awarded his Ph.D. in physics at the winter commencement in February 1939. Namely during creation of his doctoral thesis he got the idea of creating of a automatic computer (see the computers of Aiken). Aiken began teaching at Harvard as Instructor in Physics and Communication Engineering in the academic year 1935/36, before he received his master's degree. 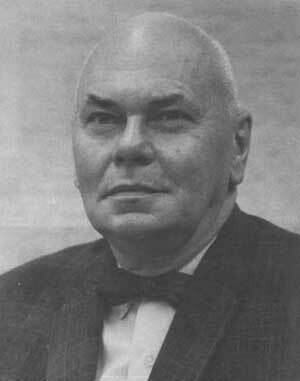 He was to become an associate professor of applied mathematics in 1941 and a full professor in 1946. In 1961 (see the nearby photo from this time), Aiken took advantage of Harvard's policy of allowing faculty members to retire early-that is, to retire at age 60 with full benefits, without having to wait until he was 66. By then, in certain respects, Aiken had become a conservative figure in the world of computing. In the 1950s, at the age of fifty-plus, he was already "old" by the standards of this rapidly advancing science, art, and technology. Computer science and invention had become a young man's game. Even in the years just after the war, many of the major advances had come from young men, trained in the new electronics of radar, rather than in classical electrical engineering, as was the case with Aiken. Howard Aiken was a giant of a man in force of will, in originality of mind, and in achievements. Standing almost two meters, he had a huge dome of a head, piercing eyes, and huge, somewhat satanic eyebrows. He judged others rigorously and he related to others in extremes. Some colleagues and some former students remained devoted to him for the rest of their lives; others tend to remember only occasions when he was intransigent and difficult. When Aiken came in contact with an equally strong and assertive character, such as Thomas J. Watson Sr., president of IBM, then conflict was inevitable. Aiken contributed to the early computing years by demonstrating that a large, calculating computer could not only be built, but could also provide the scientific world with high-powered, speedy mathematical solutions to a plethora of problems. 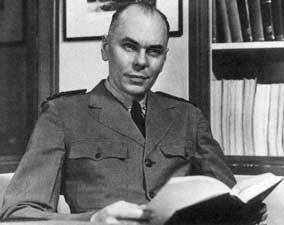 Aiken is also well known for his 1947 comment, "Only six electronic digital computers would be required to satisfy the computing needs of the entire United States." His biographers however cannot confirm this not so prophetic prediction. Howard Aiken was married three times. The first marriage was in 1939 to Louise Mancill. The family had one daughter, Rachel, but the couple divorced in 1942. Aiken married second time was in January, 1943, to a high school Latin and French teacher—Agnes Montgomery (Monty). They had one daughter also: Elizabeth, but this marriage also ended with divorce in 1961. Aiken married third time in 1963 to a teacher in the elementary schools of Boston—Mary McFarland (they had no children). After retirement, Aiken moved to Fort Lauderdale, Florida, where he was given an appointment at the University of Miami as a Distinguished Professor of Information. This did not require any teaching responsibilities, but gave him an office. He then became a business entrepreneur, (founded a New York-based consulting firm, Howard Aiken Industries Incorporated), taking over ailing businesses and nursing them back to financial good health, whereupon they were sold. He also kept up his computer activity, serving as a consultant to Lockheed Missiles and Monsanto (who were exploring the potentialities of magnetic bubbles for computer technology). His final contribution in the computer domain was a means of encryption of data to provide security of information. This extraordinary man died on March 14, 1973 in St. Louis, while on a consulting trip to Monsanto.